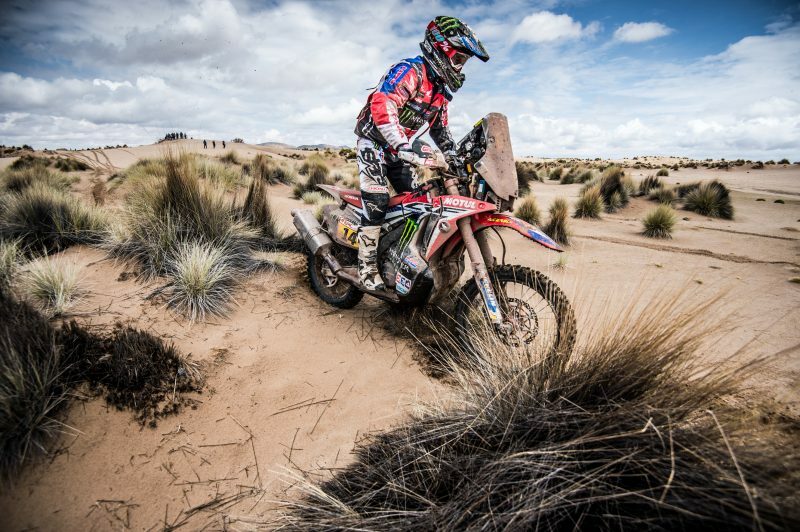 Monster Energy Honda Team today battled its way through a complicated marathon stage in the 2018 Dakar Rally. 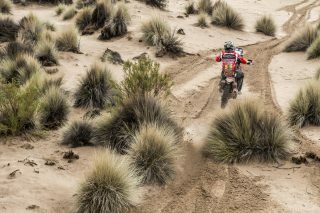 Joan Barreda took the triumph in the special stage despite crashing en route. 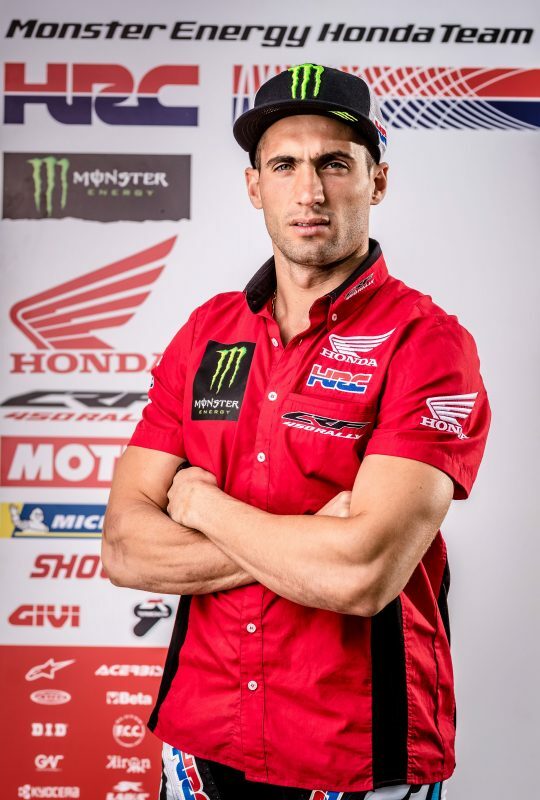 Kevin Benavides posted third position. 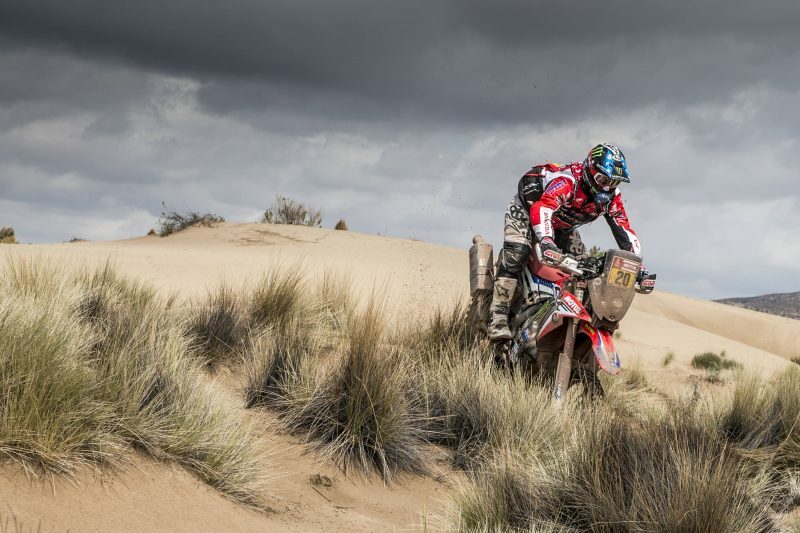 Both are still well set up for final overall podium places. The second week of the 2018 Dakar kicked off with rain, as had been expected in the Bolivian highlands. 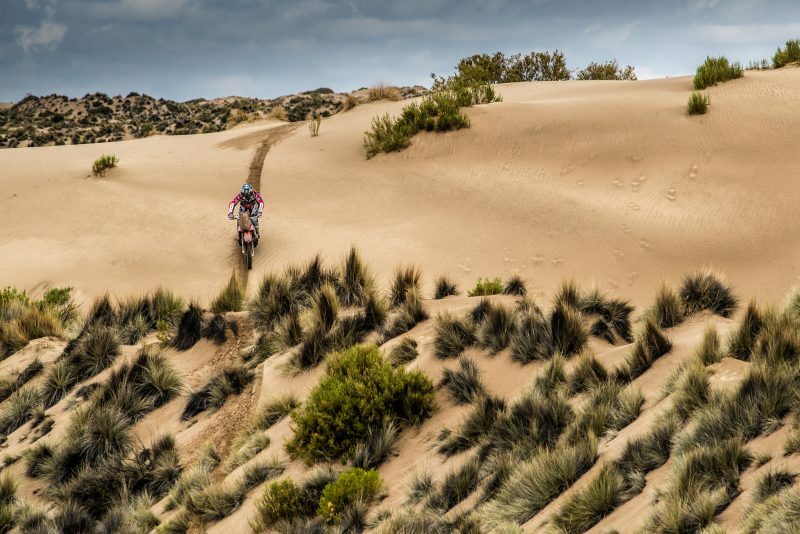 From now on, the special stages of the second week’s racing increase in mileage as well as in altitude, with the three stages set to cover the Transandine territory, which will play out at an average altitude of 3500 metres above sea level. 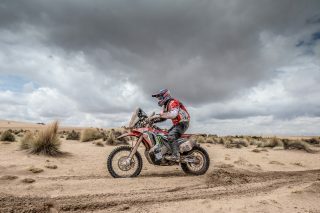 The riders today got to tackle the part one of the first of two marathon stages scheduled for this edition of the Dakar. 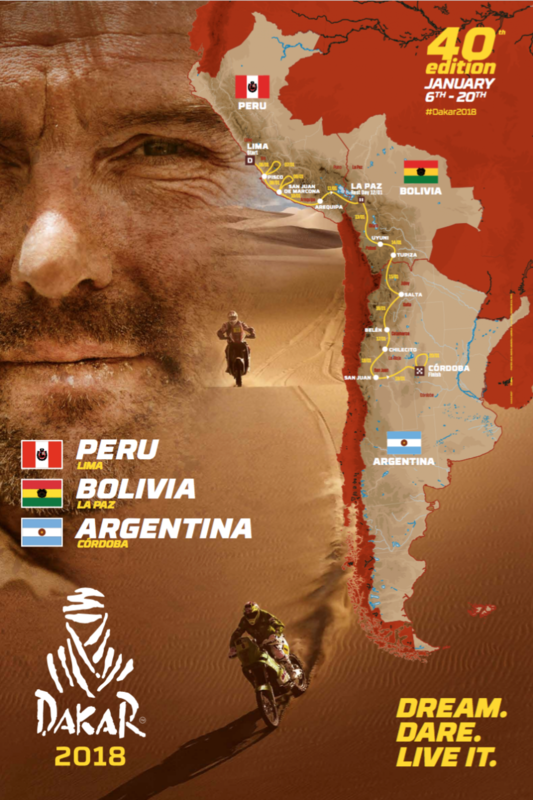 With the rest day over, the entourage has moved on from the capital of Bolivia to a new bivouac located in Uyuni, where the riders arrived today after a cold and rainy liaison section from La Paz to Oruro. 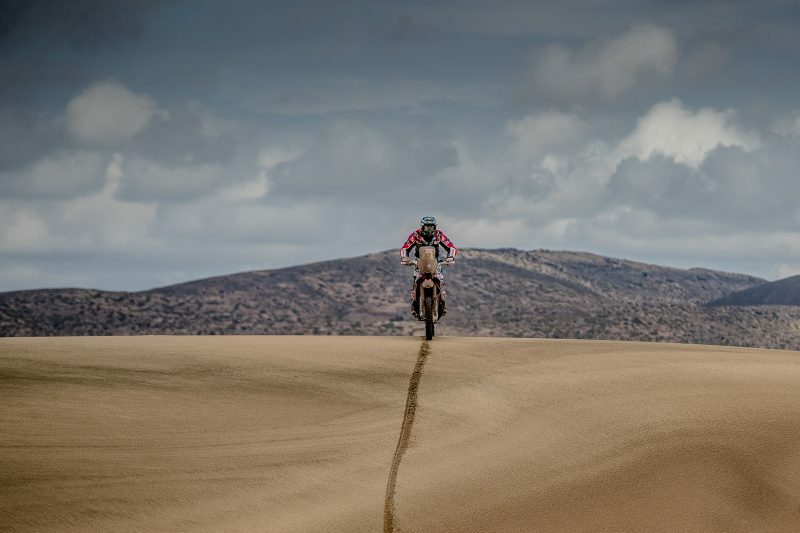 This marked the start of the special which would later end up at the Uyuni military barracks where the riders will spend the night. In this marathon stage, external mechanical assistance is prohibited, with only the riders themselves authorized to perform maintenance or any necessary repairs on the bikes. 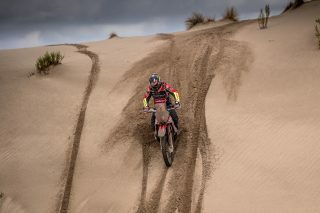 Joan Barreda set a furious pace on the muddy tracks and had soon set the fastest time of the day. In the latter part of the special, the Spanish rider fell hard and damaged a knee, although despite this, was able to finish the stage with yet another victory, the third in this Dakar 2018 and the 22nd in his history of the race. Barreda is third in the general standings, 4’45” off the leader. A good day for Kevin Benavides who held on to the third position from which he started this morning. 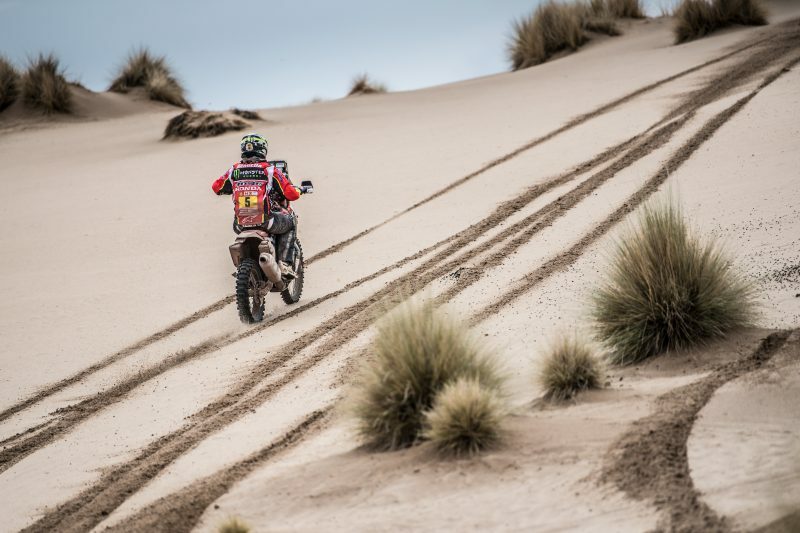 In spite of having conceded the overall leader’s spot, the Argentinean keeps his options open and lies a mere 3’14” off the current leader Adrien Van Beveren. 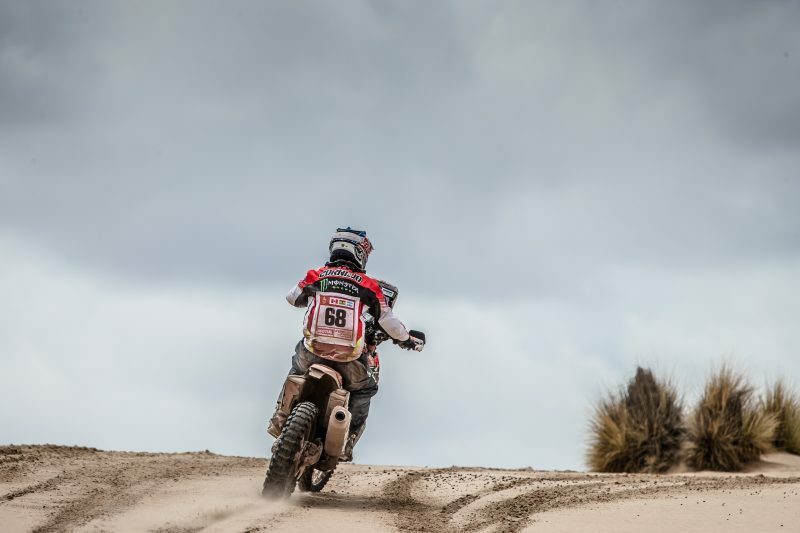 American Ricky Brabec and Chilean José Ignacio Cornejo finished the stage without taking too many risks. 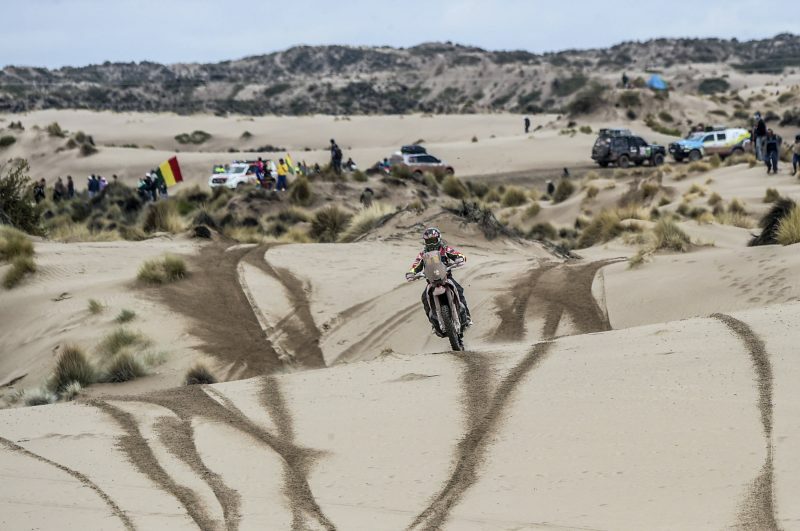 Brabec came home tenth and Cornejo twenty-fourth. 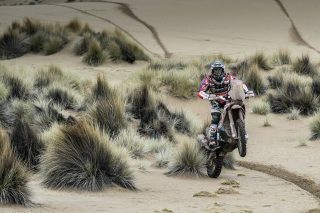 Michael Metge arrived back late at the bivouac, delayed after suffering a rear wheel problem and is out of the race. 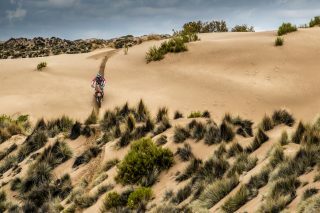 The second part of this marathon stage will conclude tomorrow in Tupiza, where after 498 kilometres of special and 87 km of link, riders will once again be able to receive help from their mechanics. 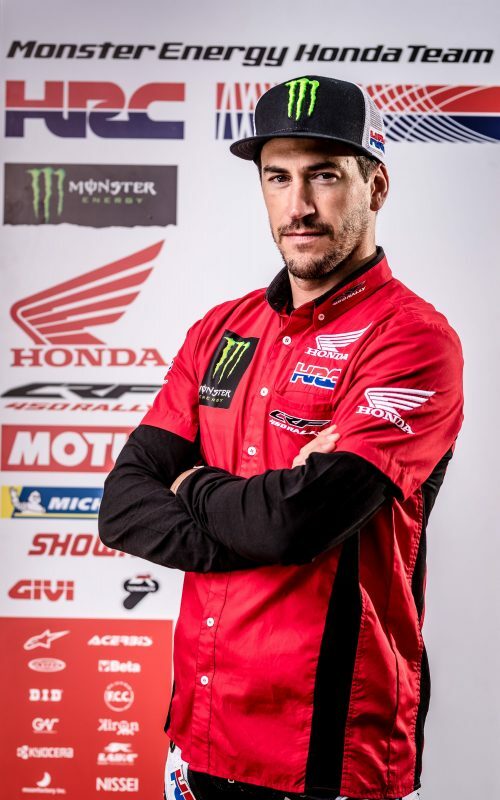 I was doing well and had recovered several minutes when in the middle of the storm I left the track and the bike fell on me, hitting my left knee. 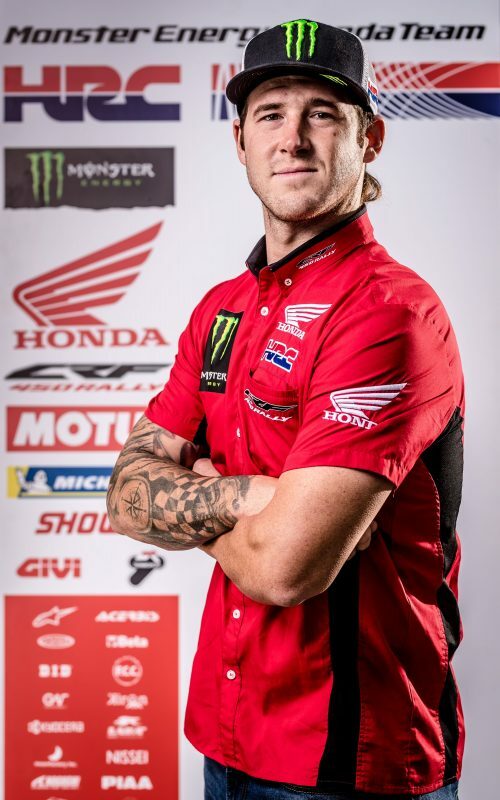 I had the doctors look me over and they have told me that there is nothing broken, but that I have some liquid inside the knee. 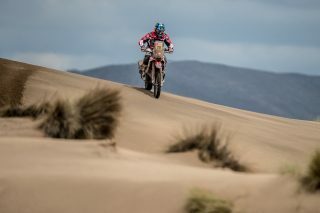 Let's see if they can fix it and tomorrow we will start to try to hold on to the stage, although I saw the stars when I had to put my leg down on some corners. In this seventh stage, the first part of the first Marathon, I didn’t feel comfortable with the rain, which has not left us all day. 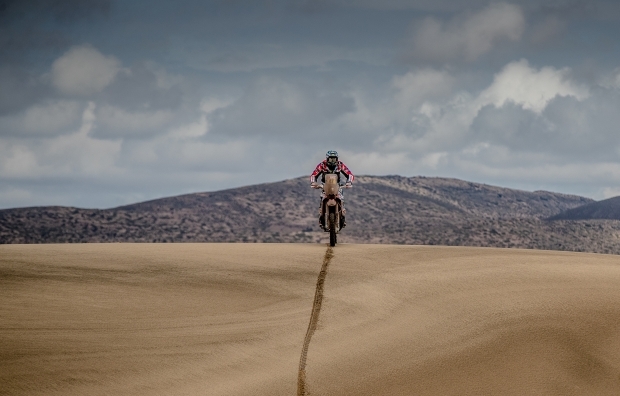 But the tracks were quite quick and I could go fairly fast, but without taking too many risks because I wanted to get to the Uyuni bivouac in one piece and with the bike without problems. Now let's see how we prepare tomorrow's stage. It has been a very hard stage; basically it rained all day. 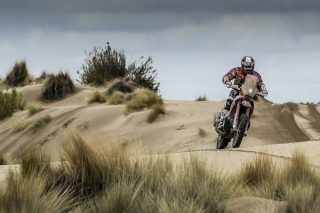 At the beginning there was a lot of navigation and dunes with vegetation and it was very difficult. At kilometre 100 I caught the riders in front and we opened the track together until halfway through the race. We knew we had lost time because we were slow opening the track. Then we started attacking towards the end to recover a good pace. We hope to finish this marathon stage well tomorrow. 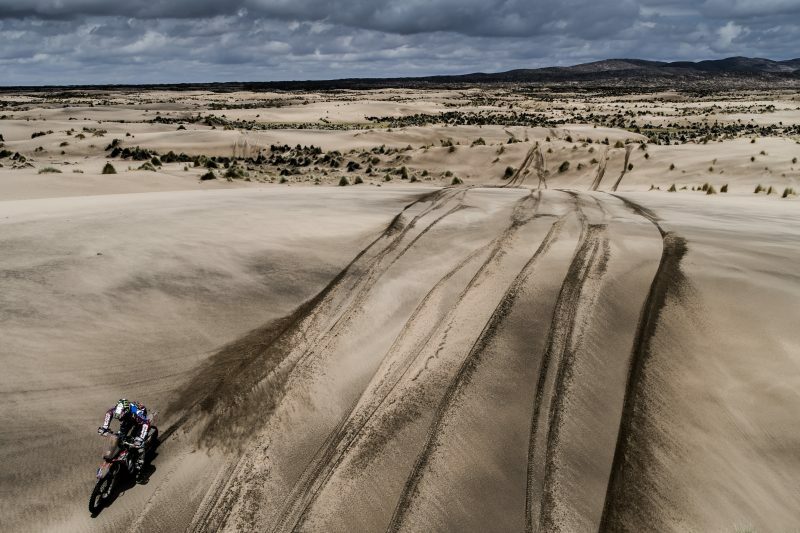 Like many marathon stages, it was a tough stage for the team. Joan gave a good performance, winning the stage but fell heavily and we don’t yet know if he will be back to 100%. Kevin defended his podium position very well. Ricky and Nacho were fine and Michael Metge had a problem with the rear wheel and could not get into the parc ferme in Uyuni in time. We will see how this marathon stage ends tomorrow. We will continue fighting for the podium in this race.